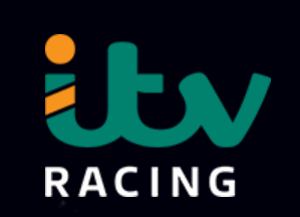 ITV is now the primary free to watch TV racing broadcaster in the United Kingdom having replaced Channel 4 in January 2017. Channel 4 previously broadcast continuous racing from 22nd March 1984, a lot for ITV to live up to. The decision not to renew by Channel 4 was influenced, in part, by low viewing figures and it was hoped ITV would be able to bring racing to a larger more mainstream audience. The first two years of results have been promising for ITV, especially for the bigger races shown on the main channel. Some criticism has been brought however for the high percentage of less prestigious racing that is shown on ITV4. This change in broadcaster had little effect on the, hugely valuable, live TV racing offers from top UK online bookmakers. Betting sites provide generous price promises and free bets on live racing because the audience and the size of their book is bigger for live events in general, and this allows them to offer better odds and money back deals. It ultimately matters little to the bookie who the broadcaster actually is, all they care about is that more people are interested in these race. For all televised ITV races during the jump season get a 15% winnings bonus up to £100 in free bets if your horse wins by 5 lengths+. Races with 6+ runners, singles only, selected races/markets, 15% of winnings paid as a free bet up to £100 (4 day expiry), bets placed after 17.30 the day before race, player restrictions, free bet rules apply. Covering one meeting each day, usually this covers all ITV racing in the jump season, get a stake refund as a free bet up to £25 (£5 min) if your horse falls, unseats or is brought down. William Hill give customers the option to boost any bet they like (up to £20 stake max, or £20 each-way) once in every single live race on ITV, jump and flat. For each-way bets the win part only boosted. Money back from £5 (or £.50 e/w) up to £20, as a free bet awarded within 24hrs, valid 7 days, if second in any live ITV race. Max £60/Day. Different offer each day depending on when ITV racing is on, raning from free bets to enhanced odds, stake & win bonuses plus money back. Offers change periodically, especially between the flat and jump season. Keep an eye on this page and I will update all new offers as they come out. It came as a shock to many when it was announced that ITV would be replacing Channel 4 as the main free to air horse racing broadcaster in the UK. But in many ways, this wasn’t that much of a shock. Channel 4 audiences for the big events have been in decline since they acquired them from the BBC in 2013, events like Champions Day, which drew in an audience of 1,100,000 back in 2013, had dropped below 400,000 in 2016. The decision by Channel 4 not to renew their tenure seems to have been mutually beneficial with the rights owners. This coinciding with new interest from the more middle-of-the-road ITV also offered new ways to display top level racing to more people. This already seems to have paid off with most meetings broadcast now showing viewing figures on the rise, especially those shown on ITV. There have been ups and down, with the Cheltenham Festival in 2018 seeing a dip but the Epsom Derby attracting the most viewers since 2013. 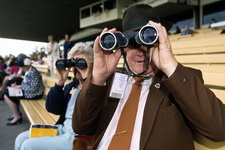 NOTE – Table above shows live racing on ITV only, most races and meetings (around 90%) will be broadcast on ITV4 or ITV3.